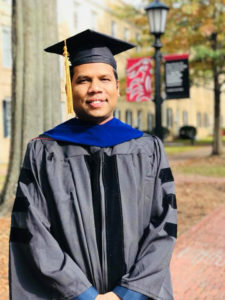 Hasan Zamir completed his PhD in Library and Information Science from the University of South Carolina in 2017. 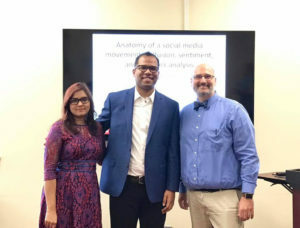 His dissertation focused on diffusion, sentiment, and network analysis of a social media movement, and his research interests revolve around social media analytics, big data, and text mining. He has taught information retrieval, information architecture, computer-mediated communication, and user experiences at the University of South Carolina at both the undergraduate and graduate level. At Dominican, he teaches Data Science, Information Technology, Health Informatics, and Web Designing courses both at graduate and undergraduate level. Zamir is active in leadership roles in various professional organisations including the Association for Information Science and Technology (ASIST) and the Association for Library and Information Science Education (ALISE). Apart from teaching and supporting the expansion of Informatics programs at Dominican, he aims to explore data for social good. Dr Zamir is now in Bangladesh for a short visit. 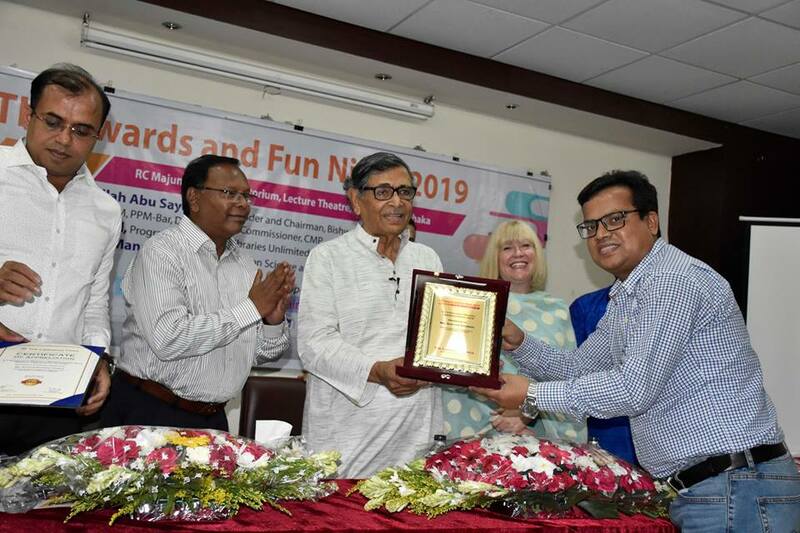 The librarian Times was a keen interested in taking an interview to listen to history about his journey from Bangladesh to the United States of America. This interview was conducted by one of TLT’s Contributing Editors Ms Syeda Mukta Begum. TLT: Could you please tell us your story about why, how and when did you decide to go to the United States of America to start your new journey with your wife? 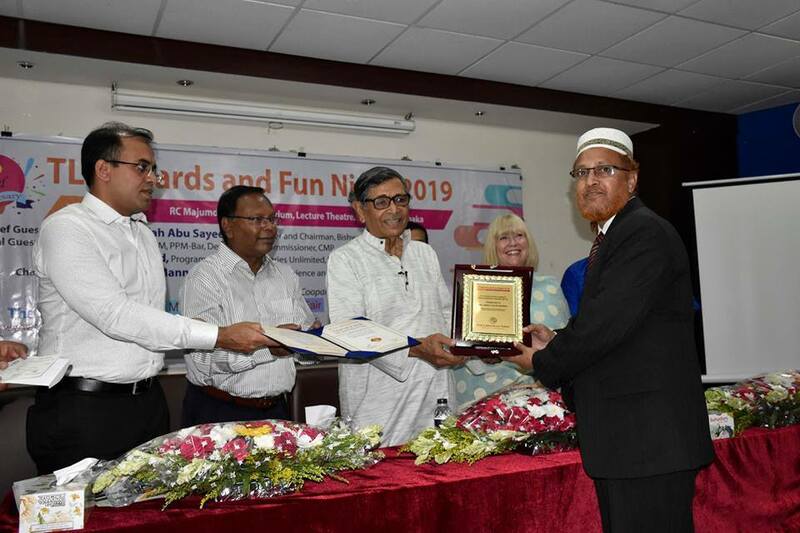 Mr Hassan Zamir: Both my wife, Mir Parvin Pushan, and I completed our Honors and Master’s degree from the Information Science and Library Management department of the University of Dhaka in 2008 and 2009 respectively. Although we were the batch of 2003, due to the then two years session gridlock our exams were prolonged to later dates from 2006 to 2008 and 2007 to 2009. Pushan, my wife, got a job in Robi Telecommunications right before our final exams completed in 2009. I intended to apply for a faculty position in our department. Unfortunately, there was no job opening nearly for two years in our department. In the meantime, I engaged myself with part-time works and applications for scholarships. I started to explore the prestigious Commonwealth Scholarship and was selected for interviews twice. Both of those experiences were bitter for me as the interviewers had very upsetting views about the library professionals and did not even care to listen to my answers for a single minute. “But I never gave up, although nearly two years from 2009 to 2011 I spent a very frustrating time of my life. 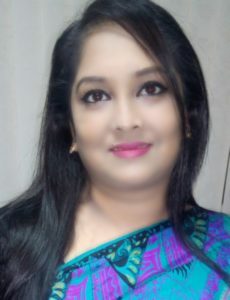 I did not have a full-time job even after trying multiple times in various multinational companies.” The HR officers of these companies argued that I would join the Dhaka University department whenever there would be faculty openings. I also tried the BCS route, but I went through another bitter experience with it, too! Then I started to explore options for higher studies abroad. My first target was England and Australia. I began IELTS preparations for it. During that time, I visited the American Center to know about the higher studies options in the USA. I met Syed Robiul Bashar Bhai for the first time. 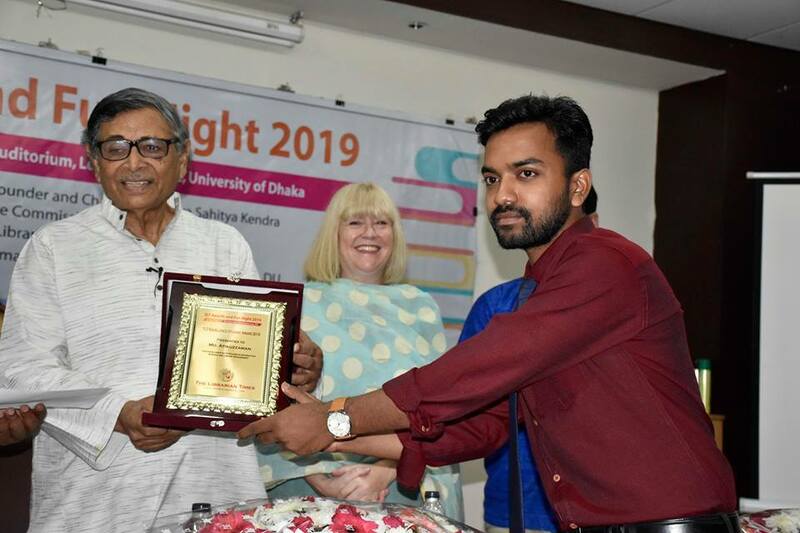 Luckily, he told me about a student travel grant offered by the US Department of the State and introduced me to the Education USA officer, Arefin Jahan. Both of these two persons guided me with every step, especially with GRE and TOEFL preparations. They filled my mind with hopes. I researched the US LIS universities and started the applications and secured admissions in few universities. However, based on the research interests and, most importantly, the amount of funding I received, I chose the University of South Carolina for the PhD program. I started my PhD in August of 2011 under the supervision of my mentor Dr Samantha Hastings. In the meantime, Pushan quitted her lucrative job and joined me in South Carolina. 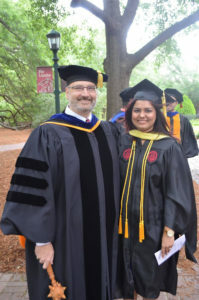 She started Master’s in Library and Information Science and achieved the most outstanding student achievement award from the School of Library and Information Science of the University of South Carolina. TLT: What made you choose to select PhD topic? Mr Hassan Zamir: US education opened my eyes to the actual value of information in society. My professors at the University of South Carolina introduced us to various issues of information science. Due to the inception of social media, the role of information is now more important for making better decisions and understanding events. In 2013, there was Shahbag Movement and Bangladeshis across the globe used social media to express opinions. I followed its progression and collected data from Twitter. It is essential to know how information propagates, who controls its ownership, and about the formation of online networks during disruptive moments. After online social movements like “Arab Spring” and “Green Revolution”, I decided that the world should know about the Bangladeshi movement. TLT: Would you please share us about your PhD theoretical and practical outcomes? What is your contribution to the existing knowledge? Mr Hassan Zamir: Theoretically, my PhD research informs about information propagation patterns, network formation, and sentiment patterns in social media. Practically, it exhibits how to compute information diffusion, networks, and analyse sentiments particularly during Twitter movements. It contributes to the existing knowledge of information diffusion, network analysis and social movement by analysing it from the perspectives of social media. TLT: When did you join the Dominican University as an academic? Would you please share about which the course you are teaching over there? Mr Hassan Zamir: I joined the iSchool of the Dominican University as a faculty in 2017 right after my PhD completion. Currently, I am teaching Data Science, Information Technology, Health Informatics, Web Designing, and Human-Computer Interactions courses. I teach both undergraduate and graduate on-campus and online courses. TLT: You have studied in Information Science and Library Management at the University of Dhaka. Now you are teaching students in the USA. What are the differences between Bangladeshi and the USA learning and teaching systems in LIS courses? Mr Hassan Zamir: There are the number of differences between the US education and what we have learned in Bangladesh. In the USA, students get more opportunities to research, collaborate with faculty and peers, and lead projects. They are exposed to both the conceptual and practical aspects of studies. Faculty always try to bring in new ideas and nurture the inquisitive minds. They never disrespect students’ abilities and always motivate students for better outcomes. What I especially enjoyed is the experience of becoming an independent researcher. My professors at the University of South Carolina trained and guided me how to lead research projects, write grants, organise workshops and seminars. First, they tag us with their existing projects. We apply that learning later on. One more unique characteristic of the US education and overall US culture is diversity. They value talent highly and rarely judge anyone by her/his racial or cultural backgrounds. If someone has the passion for any areas of work and has the right skill to do it, they allow that person do it and provide all kinds of facilities needed to complete those works. Anyone can become successful with the right attitude about life. TLT: What are the challenges you faced when you started your new journey in the USA? Please share something about professional experience or training experience gathered from the USA. Mr Hassan Zamir: Of course, living thousands of miles away from the family members is always mentally challenging. Cultural differences on top of language barrier posed many initial challenges for me. But I learned from those and tried to adopt the diversity in life. 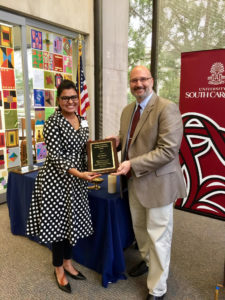 I was fortunate enough that South Carolina had vibrant and welcoming student and senior Bangladeshi community, who offer supports like family members. The University of South Carolina has a dedicated international students service office just like any other US universities. This office provided immigration to academic and cultural to work – all kinds of support we need during our stay in the USA. Degree-wise, PhD is professional training in dealing with services, leadership, research and teaching simultaneously. I am profoundly thankful to my directors and PhD supervisors Dr Samantha Hastings and Dr David Lankes for their continuous support. Although the USA has a stronger economy, our PhD scholarships and assistantships came from Government funds. Historically all kinds of Government funds are uncertain and depend on the availability of budgets. My directors, especially Professor Samantha Hastings, worked hard for us to make sure we get paid every month. Our professors always sent us to attend national and international conferences. I have joined various professional associations and took charge of leadership roles. Association for Information Science and Technology (ASIST) and Association for Library and Information Science Education (ALISE) are my frequent Moreover; I attended many conferences, workshops, seminars for presentations. These helped me to develop my professional network, which is immensely valuable in the US job market. Communications with and recommendations from right contact always give a leap in securing a dream job. My research interest strongly revolves around social media. School of Library and Information Science trained me with both advanced qualitative and quantitative research skills. My PhD dissertation needed more sophisticated techniques for data analysis for example sentiment analysis, social network analysis, which I learned by exploring various online education platforms, online computing courses, and seeking help from the Computer Science professors. Following innovations of research teams of the tech-giants like Google, IBM, Microsoft increased my knowledge on how to design my PhD research. 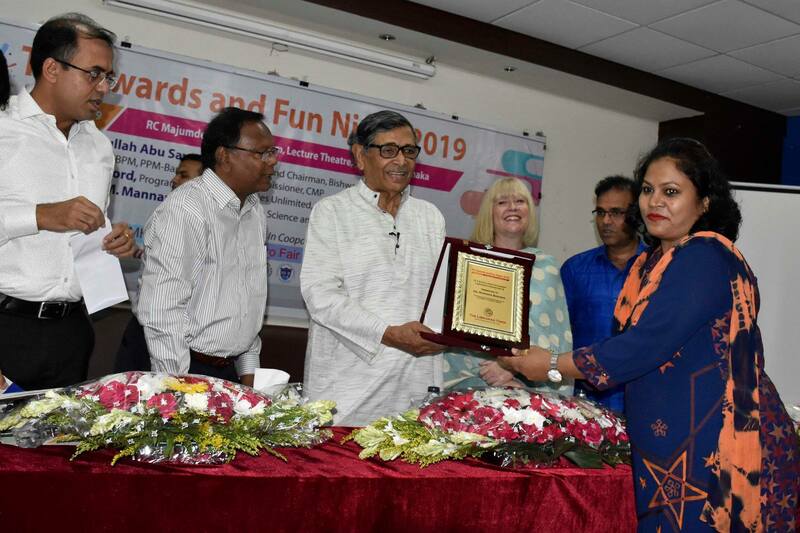 TLT: Would you like to share something for the library professionals in Bangladesh compared to the USA library professionals? Mr Hassan Zamir: in general, I have observed sheer responsibility and commitment in the US work environments. Every person performs her/his duties responsibly. They are always committed to their responsibilities and maintain work schedules rigorously. These simple characteristics make the differences and increase work efficiencies. US LIS professionals are dedicated readers. They have fascinations of reading various kinds of materials, which give them expertise in specific areas so that they can provide excellent information services to their patrons. US LIS education prepares them to become work-ready due to educational policies set by the American Library Association (ALA). Many libraries, archives, museums require ALA-accredited degree to secure a job in those institutions. So, almost all of the LIS educational institutions offer ALA-accredited programs. The ALA-standard has worldwide recognition and acceptance. 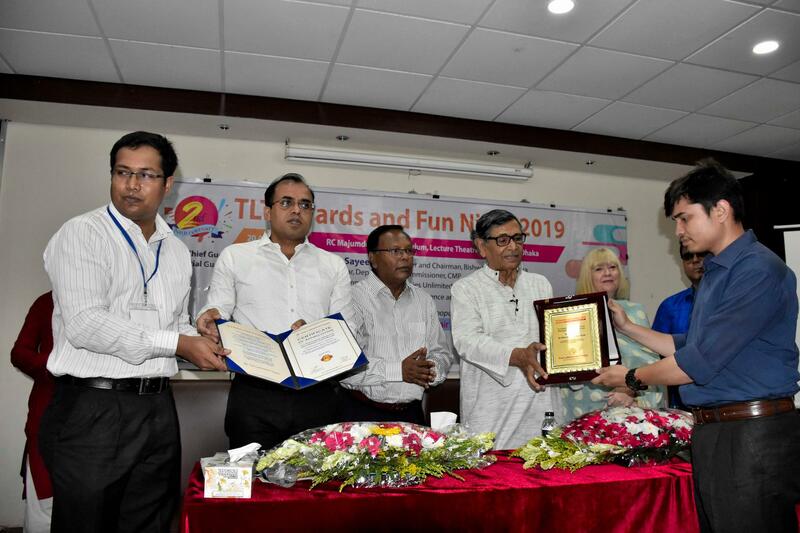 TLT: How do LIS professionals can develop themselves to provide innovative service to the library users in Bangladesh? What could they follow from the USA LIS professionals’ to provide better library services? Mr Hassan Zamir: Understanding the information needs of the patrons accurately is a must-have skill for the LIS professionals. So, the LIS professionals must have appropriate skills to serve their patrons. Due to the advancement of internet and the tech-innovations information is now available at our fingertips. 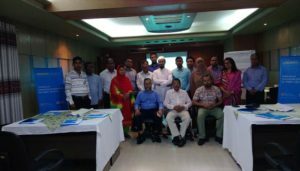 Therefore, the LIS professionals in Bangladesh must adopt new technology to serve the information needs. We must look for new ventures to meet the information needs of the wider population. Mere outdated cataloguing and abstracting services will not be sufficient. Digitization of cultural heritage objects is always an exciting area to explore. Typically, LIS professionals have the right skills and knowledge to preserve the culture and civilisation of a country. Our LIS professionals must have the mentality to preserve the correct history regardless of individual belief and background. 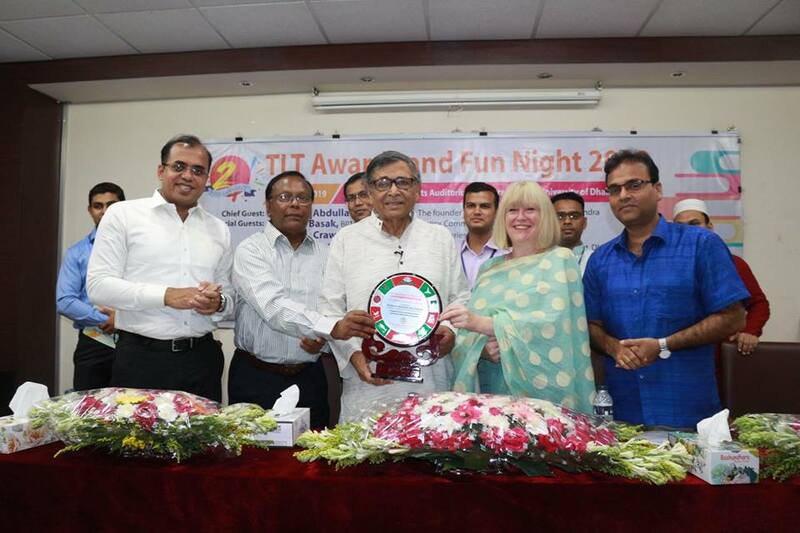 TLT: What is your contribution towards Bangladesh LIS sectors? Mr Hassan Zamir: So far, my contribution to the LIS sector in Bangladesh is limited within research. 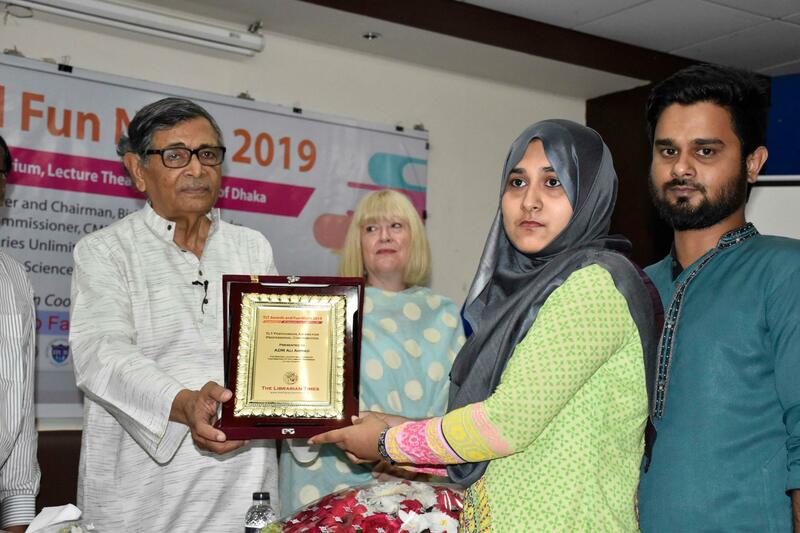 I had an internship opportunity at the Dhaka British Council Resource Centre after my graduation from Dhaka University. Later I started my PhD and got involved with research and higher studies. However, I do have a keen interest in contributing in Bangladesh LIS sector. 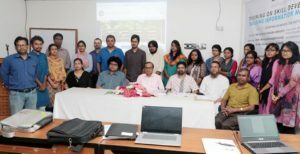 I always welcome any opportunity for research or project collaborations with any Bangladeshi LIS scholar and expert. Currently, I am the editor of the World Libraries, a journal for the global LIS sector. I am expecting many Bangladeshi scholars will be interested in submitting their research in this journal. 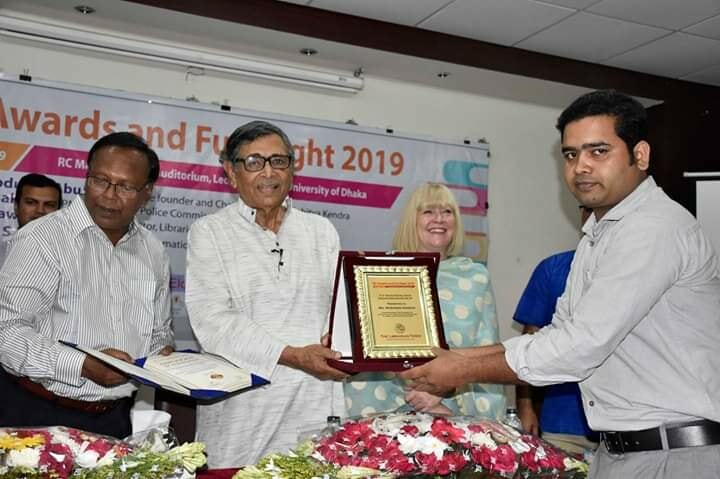 I believe this will provide international exposure to the Bangladeshi LIS research. I always represent Bangladesh at various international professional LIS associations like ASIST, ALISE, iSchools. My primary aim is to promote Bangladesh LIS sector internationally. 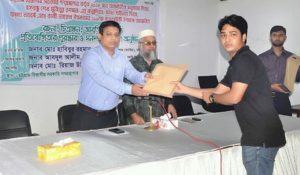 I am interested in serving on the PhD committees of any Bangladeshi LIS student. 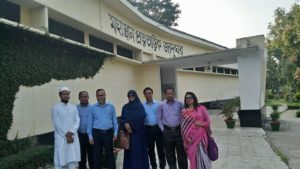 TLT: What opportunities are there for Bangladeshi LIS students to participate in the USA Universities, both as a research student and as a general student by coursework? Would you please share information about scholarship, training and others opportunities for the LIS students and LIS professionals through TLT? Mr Hassan Zamir: the USA is known as the land of opportunity. Historically this country has a reputation for equal opportunity. Everyone with right credentials and hard-working mentality can achieve anything they want. 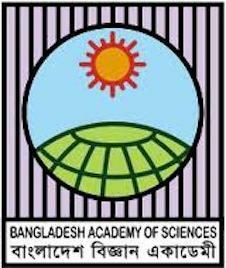 Bangladeshi scholars have many opportunities in the US universities. They can go for PhDs and Masters. However, PhD will be the best option for many students. Students can get partial to full scholarships in PhD. Also, students with Bachelor degree can directly apply for a PhD program in the US universities. Students should start early for admission preparation. Higher scores in TOEFL, GRE, a proper statement of purpose letter, CV, strong recommendation letters are vital to secure admission in the US universities. Students should communicate with the US professors and explore avenues to work with them. PhD students can get a full tuition waiver and a salary for their services in research and/or teaching. In comparison with the PhD degree, Master’s programs are offered with limited funding opportunities. Students have to look for part-time works to waive their educational expenses. My wife completed her Master’s in Library and Information Science with the most distinguished award in her class. She paid a minimal portion of her educational expenses, and the most amount was paid through scholarships based on her academic results and part-time on-campus works. However, I suggest going for the PhD program over Master’s degree due to the number of opportunities one can get out of it. TLT: Would you like to say something to our future LIS young professionals to inspire them in this profession? Mr Hassan Zamir: I always believe in the young generation. They are the future. They can bring change and novel ideas. With tenets such as hard-work, dedication, and passion they can achieve whatever they want. All they need is some patience. I suggest the young professionals start early and explore various new techniques in work environments. This is the age of information and internet. Putting information online such as on websites, social media, blogs will be an exciting idea for the young LIS professionals. Information cannot be only contained within physical buildings like libraries. Everything is becoming online these days. So, the young professionals should think about how they can serve information needs of specific communities through online libraries. They must learn computing and content management skills, programming languages like Python, HTML, CSS etc. and research techniques on top of traditional library service skills. The tremendous amount of free and authentic resources is available online to learn these skills. All they need is determination and, and I believe they can do it correctly. TLT: As you know that The Librarian Times is the first-ever weekly news bulletin in our field and continuing without having an interruption of around two years. What could be its future, strength, and overall evaluation from your point of view? Mr Hassan Zamir: I have heard about The Librarian Times (TLT). I believe it is making a big difference in the LIS field. There are limited LIS publications in Bangladesh. So, TLT is working towards filling that big gap, which is a remarkable initiative. Since its online and open, it can make a long-lasting transformation in the LIS profession. I congratulate the whole TLT team and welcome any opportunity to support TLT in achieving its unique vision.